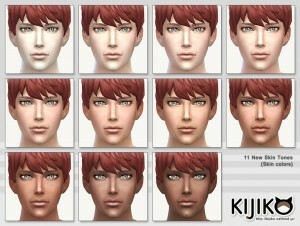 This file adds 11 new skin tones.This is skin color,not skin detail. (Non-default skin color). Babies don’t have custom skin tones,so they are usually just a base game color,and custom skin tones will appear after baby grows up into a child. This skin tones are handled as a light skin tone,so if parents have the custom skin tones,babies will have light skin tone. …in most cases,it’s supposed to be…but sometimes,seems baby has dark skin tone. Unfortunately,for now,I think baby’s skin tone is not able to change because babies are just objects in the Sims4. I’m sorry to trouble you, but please use cheats to chenge skin tone. If you update it,please download again and overwrite the old file. ･Fixed the sim’s nails shorter because there was an issue that the nails were longer than some of custom nails. ･Retouched female breast shadow. Little bit emphasized it. This file replaces default face and body skin textures. 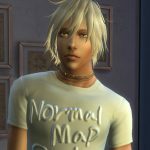 If you don’t want to change the face texture (or body texture),please choose the file below. This file adds texture(hi lights and skin tint etc.) 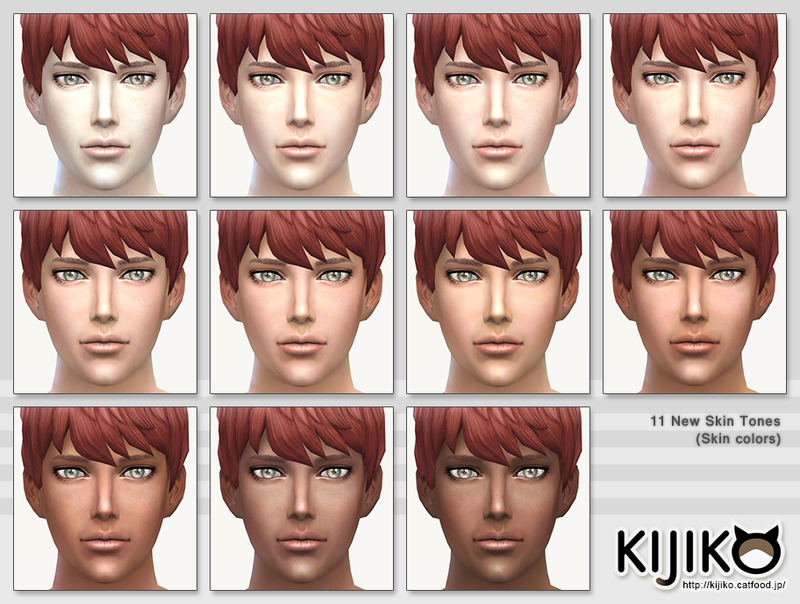 same as “[Kijiko]SkinTone02_non-default” on the default skin tones(These are skin colors,not skin detail). 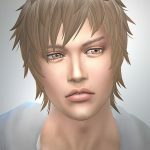 “Face texture overhaul” is re-textured eyes and mouth,and it’s compatible with all face presets.